JACKSON – Aloft in a helicopter surveying the Tetons the other week, Aly Courtemanch again spotted mountain goats in new nooks of the range. The Wyoming Game and Fish Department biologist also saw something concerning her and other wildlife managers in the region: native bighorn sheep mingling with their exotic mountain-dwelling relatives. She estimated the distance from sheep to goats at 30 yards. That proximity is potentially perilous for Teton’s bighorn sheep herd, which has never been exposed to a number of deadly pathogens that the goats, migrants from the Snake River Range, are known to harbor. Species-to-species transmission is possible at any time, and could result in an outbreak of deadly pneumonia that could diminish the bifurcated bighorn herd, which numbers just 100 head. Disease could wipe out the entire bighorn bunch due to its small size. I think that might be in relation to having more of the meat donated to local food shelters. 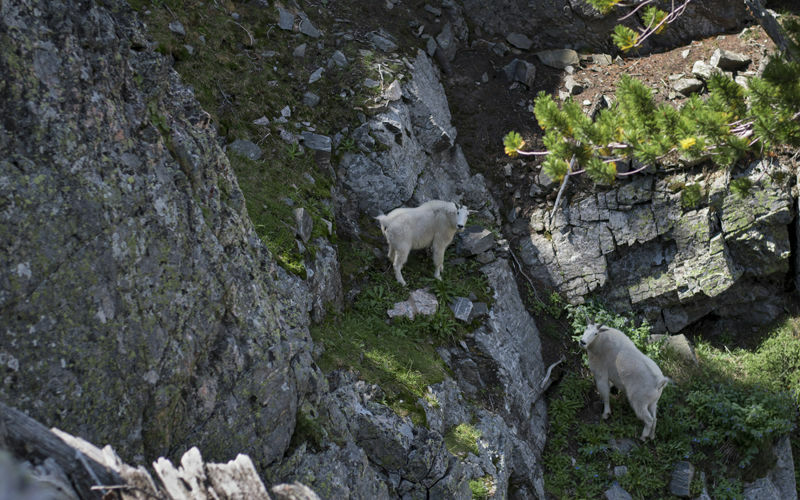 "La Barge resident and Wyoming Game and Fish Commissioner Mike Schmid made the two-hour drive to Jackson to support ridding the Tetons of its mountain goats, though he wanted the Park Service to consider letting the public hunt the animals instead of leaving the task to contracted aerial gunmen and professional hunters." 2. I think that might be in relation to having more of the meat donated to local food shelters. Apparently, none of the meat killed by aerial gunman is recovered for further use. These are big goats. It'll feed bears and coyotes, I guess.